Emmeline’s life in the settlement is pretty restricted under the rule of the Councillors, who enforce hefty punishments for anyone who’s seen making ‘wayward’ actions that might endanger the settlement – including death – for really rather petty behaviours. It soon becomes clear that there’s more than a little corruption at the top as they try to ensure their own power and dominion, and challenging the councillor-approved beliefs is more than a challenge for anyone; even more so if you’re considered a “stained” and have a disfigured leg. Yet Emmeline just can’t keep herself from wondering about what lies beyond the settlement gates and how any of this came to be, even if to even contemplate it is wayward. It’s Emmeline’s curiousity that makes her persevere as she tries to uncover the truth about her grandmother – ingloriously hanged for being wayward – and the Lost People, who preceded settlement life. 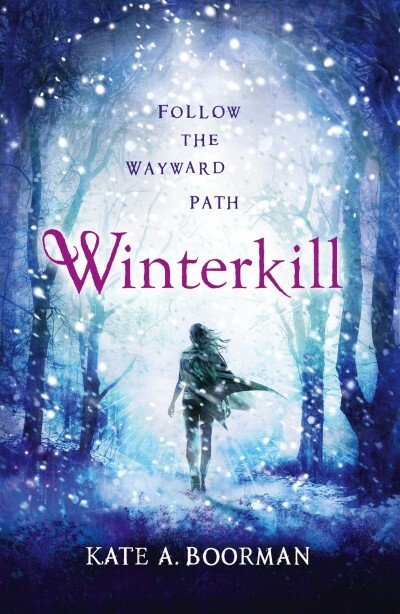 It’s our equal curiousity that keeps us reading; Boorman excels at creating suspense and while plot-points are few and far between, Emmeline’s “meddlesomeness” drives Winterkill‘s narrative to its disruptive conclusion. It’s an enviable skill that Boorman can reveal so little information and still create a compelling narrative. Even the setting is vague – based largely on the changing seasons as La Prise comes to turn the settlement into an iceberg; but this reflects the lack of knowledge the people have about themselves, too – who they are, where they come from, what their place is in the world. Their history lies in the half-shadows of myth and fairytale, and that’s exactly how Boorman operates with her storytelling, especially when it comes to characterisation. There’s never any hint of who can be trusted with Emmeline’s wayward secrets; doubts are constantly cast. Even her closest friends are suspect. As for the romantic interest – well, there’s a love triangle, which doesn’t bode well. Thankfully, though, Boorman keeps it relatively interesting as she throws in themes of expectation and social betterment into the mix. Equally, Em’s attraction for Kane, whilst it develops fast doesn’t strike as unrealistic; it’s just another instance of blossoming teenage desire – and which of us hasn’t said “I love you” inappropriately at one time or another? It’s only Boorman’s prose that throw’s a spanner in Winterkill’s works. There’s a slight attempt at developing a subtle dialect here – mayhap – something used to great effects in other narratives (see Blood Red Road by Moira Young), but it just feels like it’s underdeveloped and ever so slightly inconsistent here; it’s biggest victim seems to be the flow of the prose, which can be anything but smooth in places. Is Winterkill worth picking up? I’d say so. 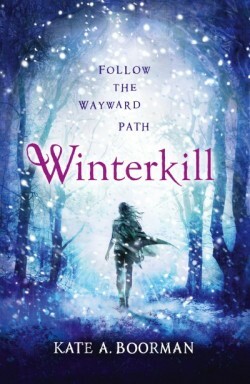 Whilst taking a look at its Goodreads page will show you that it’s quite a divisive novel, it does set up a rather exciting set of sequels which will change the tone completely – if anything, where Winterkill was an exercise in suspense, its successors will be far more plot-based as a whole new (and war-mongering) world opens up.